Okay, since it's really clear I'm not going to power through and write the fifteen plus reviews for my unreviewed 2016 reads, I'm going to attempt some mini-reviews because honestly, these books shouldn't linger here un-reviewed. They're all so great! I might try longer reviews once I get past this block, but in the meantime, quick thoughts about some of the books I read last year. Literally an everything-and-the-kitchen-sink kind of fantasy book: an otherworldly Library where librarians try to collect one copy of every book from every universe/world. Amazing premise, but between the overloaded plot and annoying lead characters, I was pretty ambivalent the entire time I was reading (also I'm not into men so pale you see veins; why is this a thing??). It was okay-to-good upon finishing, but despite having books two and three on hand, I've not bee interested enough to pick 'em up, so I guess that says everything. What's the unbelievable horror? : secret society of power-hungry magicians or relentless, unabashed racism? First line: Atticus was almost home when the state trooper pulled him over. This ended up being my book club's October read, and I'm glad, because it's been on my TBR since it was released last year. And I'm wicked conflicted about it. 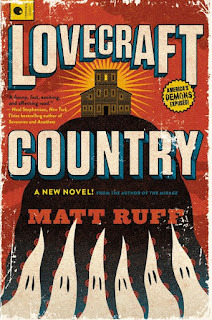 On one hand, this was a really, really entertaining read, a mix of family history and supernatural drama. On the other hand, I struggled (and am struggling) with the author's identity as a white guy, and his depiction of characters of color. 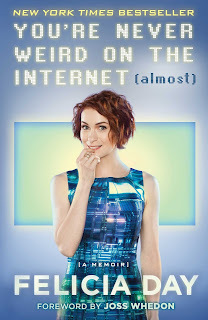 The novel was originally pitched as a tv show, which shows, as it is a series of interconnected vignettes that feels like a tv episode. Which isn't to say it's not good, but it only goes so deep. 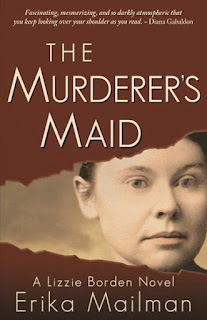 Now Erika is looking at the infamous Borden family murders with her book, The Murderer's Maid. I'll be reviewing this one soon (could there be a more perfect October read?!). 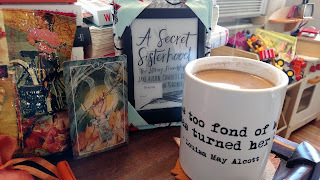 While you wait for my inevitable squees, here's an interview with Erika about her writing of this book (question three shows she is far, far more brave than I could ever be!). What scene or character surprised you while you were writing? I love romance novels for the fluff escapism: tame drama, happy-ever-after, armchair time travel, appealing sexytimes. This first book in a new series did that for me, and if you like tame, slow-burn romances, this one is for you. 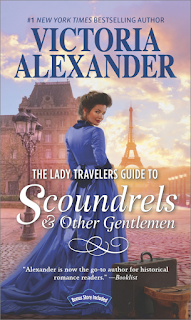 Our heroine, spinster India Prendergast, is convinced the Lady Travelers Society is a scam. Her beloved aunt has disappeared, and the women running the society are unable to locate her. Worse, Derek Saunders, famed bad boy, is related to one of the women who run the society, and he has taken it upon himself to "help" "find" India's aunt. Obviously, their instant dislike for each other means they're going to fall madly in love (and that was fine by me). I meant to do a weekend reads video for my stuff, but Unabridged Toddler had other ideas! I really ought to have loved this speculative short novel but I didn't, and it bums me out! Set in an alternative now, where the US is broken into smaller countries -- Five Civilized Tribes, which is a conglomeration of US Indian/Native American tribes (I believe), the industrialized Tejas and puppet state of Albion, among others -- the story follows a Jamaican secret agent, Desmond Coke, who has smuggled a young boy from Jamaica in hopes of keeping him safe from a variety of nefarious forces. It takes most of the novel to learn why they're being pursued and it's an intriguing premise. 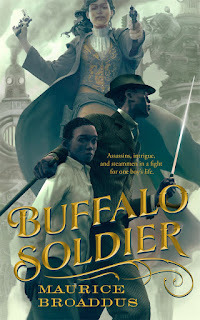 Desmond's work is hampered by geopolitical drama and some good old-fashioned double crossing, and with the 'Old West' ambiance and technology, it has the feel of Firefly or other weird West style stories. 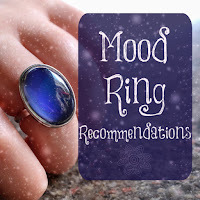 First, the mood I've picked isn't precise, because I'm not exactly sure what mood I'm trying to express. Something that's more than what's on the surface; something duplicitous (but not always bad); one thing and then another. What's one word for all that? Whatever the word is, these reads all came to mind when I started thinking about stories with a character who wears a mask, is different than we think, or changes midway once we thought we knew them. Eleanor Hallowell Abbott, Molly Make-Believe: This sweet novel is from 1911, and it's the only positive novel featuring misdirection and misapprehension. It reads like The Shop Around the Corner and other sweet rom-coms, and it's a really lovely, light romance. 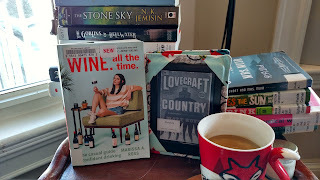 A quick booktube video of some of the books that have arrived over the last few weeks, both review copies and some free-range reading library arrivals. (Including a classic better known as a film than a book!) Have you read any of these?